Metamucil is a fiber supplement distributed by Procter & Gamble. The original product is a coarse powder that’s added to water and consumed as a drink. Through the years what was once a single product has become quite a diverse range that includes finer ground powders, two choices of flavour, and there’s a sugar-free version as well. Metamucil is suitable for both men and women. 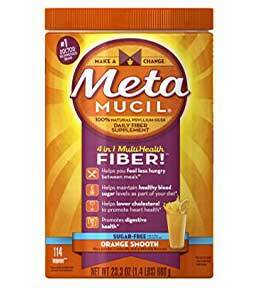 Metamucil is intended for anyone who is over 12 years of age and does not get enough fiber in their diet. It’s favoured by people who are prone to constipation, those who are trying to lose weight, and anyone who has concerns about the fact that their fiber intake is too low. However, people who have recently experienced a sudden change in bowel movement, persisting for two weeks or more, are advised to seek medical advice before using this product. As is anyone who is suffering from abdominal pain, nausea, or vomiting. One to two heaped teaspoons (5.8-11.6g) of powder needs to be mixed with water and consumed up to three time per day. The precise dose is dependent on what the powder is being used for, but new users are advised to begin with just one teaspoon per day, to allow their body time to adjust to a higher fiber intake. For hunger, control two heaped teaspoons should be taken up to three times per day. For maintaining healthy blood sugar levels, one heaped teaspoon is required up to three times per day. For lowering cholesterol and promoting heart health, one heaped teaspoon is required up to three times per day. For promoting digestive health and for the relief of constipation, one heaped teaspoon is required up to three times per day. The active ingredient in Metamucil is psyllium husk powder. It’s obtained from the seeds of a plant called plantago ovata. Research funded by Procter & Gamble suggests supplementation with psyllium “contributes to greater fullness and less hunger between meals”. Dietary fiber (also called roughage) is known to make the stomach feel nice and full, and psyllium husk is a very good source of fiber, so the study result is not that surprising. Another study, which was also supported by Procter & Gamble, shows psyllium husk has long-term cholesterol lowering capabilities and, as most people are aware, a lower cholesterol level is better for the heart. The relationship between fiber consumption and blood sugar levels is well known and people suffering from type 2 diabetes are often advised to up their intake of dietary fiber. Dietary fiber is also important for a healthy digestive system. The body cannot digest fiber. It’s a plant constituent it cannot use, but its indigestible nature makes the digestive organs work harder. This helps them to become stronger and more resistant to disease, and eating a high fiber diet has been linked to a reduced risk of lower colon cancer. Research shows a link between a lack of fiber and chronic constipation and the fact that psyllium husk powder is the main ingredient in Fybogel (constipation treatment) should not go unnoticed. A number of customers state using this product caused them to get stomach cramps/and or a build-up of intestinal gas. 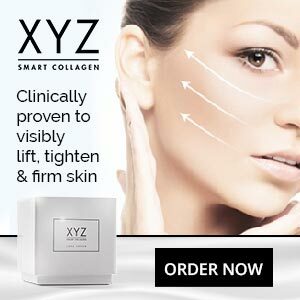 Research shows psyllium husk can have this effect on some people, so we suggest all potential users of this product get their doctor’s approval before supplementation is commenced. It’s also easy to buy Metamucil online from any number of suppliers and you can even get it from Amazon (best for UK customers), but the cost can vary a lot. Some suppliers are asking up to $30 per pot, other want less than $20, so shopping around may be a good idea. Many people don’t get enough fiber in their diet and those who do not would do well to rectify the situation. Dietary fiber is important. It benefits the health in many ways. However, using a product like Metamucil is not the only answer. A better option is to start eating more high fiber food. Fruit, vegetables, and whole grains are all good sources of fiber and there’s so much variety getting more fiber need never be boring. Drinking Metamucil every day is likely to get old real fast. As an occasional treatment for constipation, it may have value, but people who are getting plenty of fiber from their diet are unlikely to have this problem. Metamucil will undoubtedly offer some value as an appetite suppressant as well, but people who need to lose weight would obtain far better results by using a good quality diet pill. 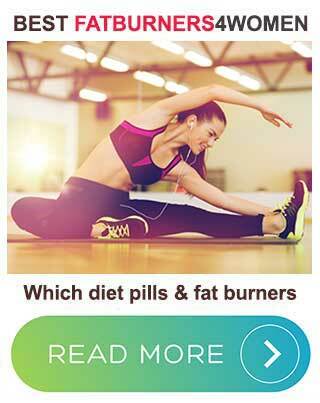 Some of the best diet pills have an excellent reputation for delivering results and are generally backed by a money back guarantee. The problem with Metamucil is it only has the potential to curb hunger. Diet pills can do this too, but they offer dieters extra support in other ways that can accelerate fat loss and take much of the hard work out of losing weight.